Today is Walt Disney’s birthday, and while he may no longer be with us, his reach still impacts the lives of so many around the world. 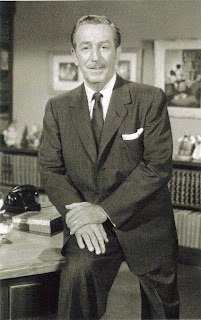 Rather than chatter on about what he means to me, and how thankful I am for all that he has given to the world, I thought we would see what some of the other Disney enthusiasts had to say about Walt Disney. I asked several friends to give me one word that they thought of when they hear the words Walt Disney, there were their responses. Ten words to describe a truly remarkable man, and even combined they do not do Walt Disney justice. Do you have your own word that we didn’t think of? Feel free to add your word to the list in the comments section for this article.